is locally owned and operated business. We pride ourselves with effective, affordable, & safer results by utilizing the best techniques from both organic and traditional practices. Blending organic matter into the lawn is extremely important to an attractive & safer lawn. Our unique programs have earned the respect & value of our customers due to our commitment to providing the highest quality service to their lawns. 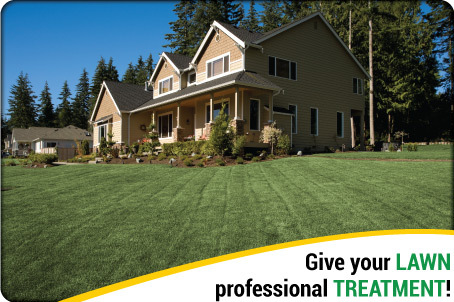 Our goal is to improve the health of your lawn for the long term by improving soil & growing conditions. In addition we personalize our services while educating our customers on best care practices resulting in lawns that stand out above the rest. START today & help your LAWN achieve its true POTENTIAL! Lawn Care programs containing regularly scheduled fertilizing applications keep your turf healthy, dense and green. 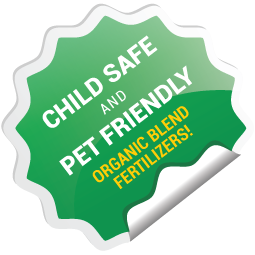 Our company prides itself on providing organic based fertilizers to help your lawn reach its highest potential for both the environment and your investment. Our programs are tailored to fit you budget & desired results.